The Force is strong with this Star Wars trailer, edited by former That 70s Show star Topher Grace. This video takes every single movie from the franchise, even the standalones like Rogue One and Solo, and condenses them down into one, very epic five-minute trailer that encapsulates everything we've come to love about a galaxy far, far away over the years. Hate has no place here, as Grace has taken the best of what has been put forth in these ten movies over the course of more than forty years to deliver something that seemingly every fan can get behind. Some may be asking, why is it significant that Topher Grace edited this trailer? Back in 2012, Grace held a one-time-only screening of an 85-minute movie he calls Star Wars: Episode III.5: The Editor Strikes Back. Grace has a hobby of re-editing things, just for fun, and he also happens to be a huge Star Wars fan. As such, he decided to condense the entire prequel trilogy into a lean, action-packed tale that was very well received by those who were lucky enough to view it. Sadly, most of us will never have the chance to catch that for ourselves, but this gives us some sense of what he can do. 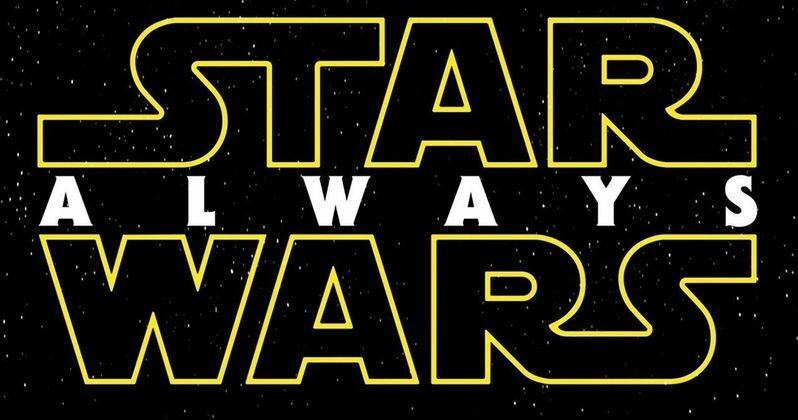 The trailer, titled Star Wars: Always, manages to capture the entire, overarching narrative present throughout every entry in this franchise and presents it in a way that truly connects everything together. We start out with A New Hope and Obi-Wan telling Luke about the old times when the Jedi defended the galaxy, before flashing back to a large montage from George Lucas' prequel trilogy. Topher Grace even makes use of some deleted scenes from A New Hope, which is particularly fascinating. What's truly impressive is how cohesive this makes all ten movies that have been released feel. The prequel trilogy has always felt very distant, in many ways, from the original trilogy and the Disney era has felt very distinctly different from what came before, in addition to being rather divisive at times, especially in the case of The Last Jedi. But this trailer, narratively, unites the franchise in a way that makes it hard to hate on. In looking at the best of the best and the evolution of these characters over time, this becomes a very compelling look at Star Wars. At one point, it was said that J.J. Abrams hopes to unite the saga with the upcoming Star Wars Episode IX. While much of what we're going to see in that movie later this year remains mysterious, there is certainly hope that he can provide the same feeling this trailer will likely give to fans. While we wait for official news on that front, which should be coming our way plentifully in April during Star Wars Celebration, be sure to check out Topher Grace's trailer from the Lou's Cafe YouTube channel below.